Hosts Sara Iyer and Steven Ray Morris, producer for “My Favorite Murder,” talk to cat people because they can't talk to their cats.Theme song by Analise Nelson and Dax Schaffer Artwork by Jillian Yoffe. 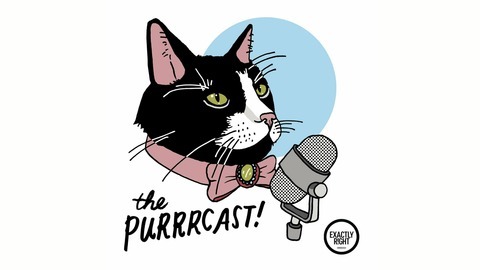 On episode ONE HUNDRED-NINETY-TWO of The Purrrcast, Sara and Steven welcome author Justine Prado and performer Iselle Slome to talk about their life as roommates and sharing a kitty named Thriller! Iselle and Justine talk about their respective routines with Thriller, Justine talks about her cat-themed comic (Finding Molly: An Adventure in Catsitting), Iselle shares the story about her dad getting Toxoplasmosis, and more. Plus we share our Basepaws results for Samba and Penny Lane! 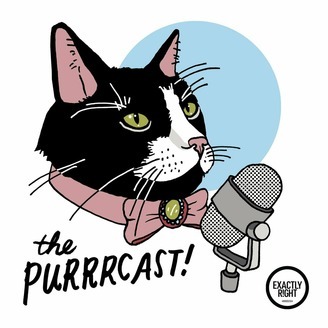 The Purrrcast, talking to cat people because we can't talk to their cats.